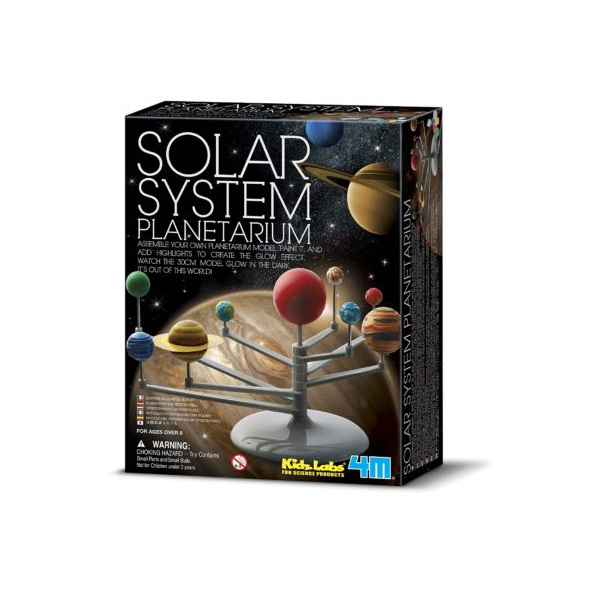 The Solar System Planetarium set teaches children about the wonders of the solar system. Complete assembly instructions are included. Learning about the solar system can allow everyone, especially your children, to gain a greater appreciation for how fragile the earth is. Knowing how you can protect our unique planet helps keep it safe and healthy for their generation to live in. Learning about space is fun and interactive for your kids!